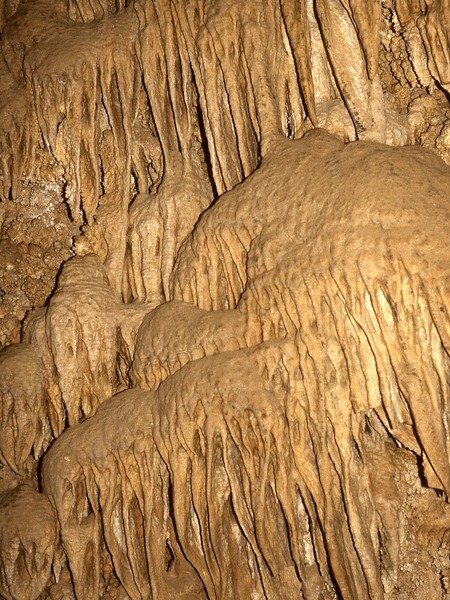 Mitchell Caverns are a trio of limestone caves in the Providence Mountains State Recreation Area in Southern California. 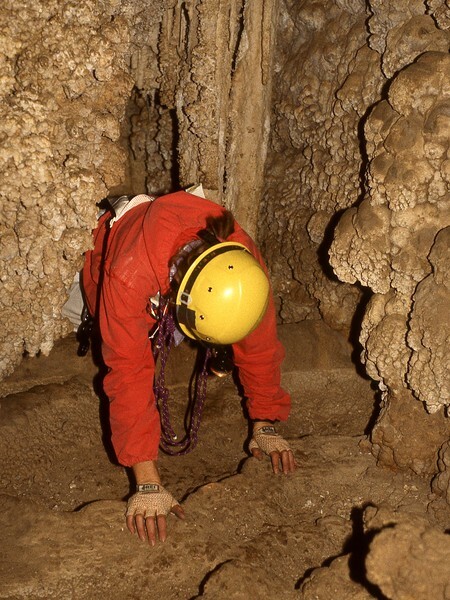 The Tecopa and El Pakiva caves are connected by a man-made tunnel and are now open to guided tours led by California State Park rangers. 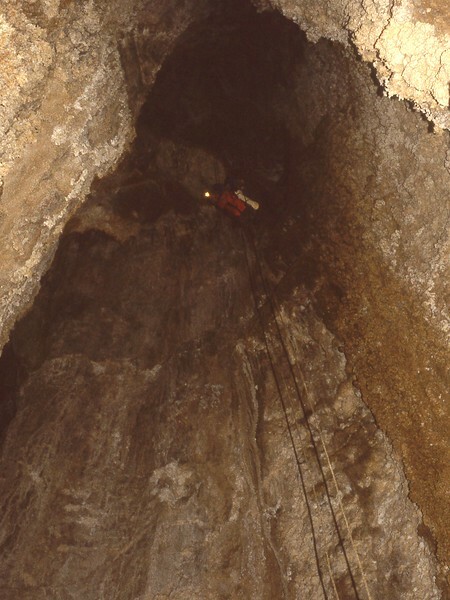 The Cave of the Winding Stair (or Winding Stair Cave) is considered dangerous and is closed to the public, though it is occasionally used for training cave rescue teams. 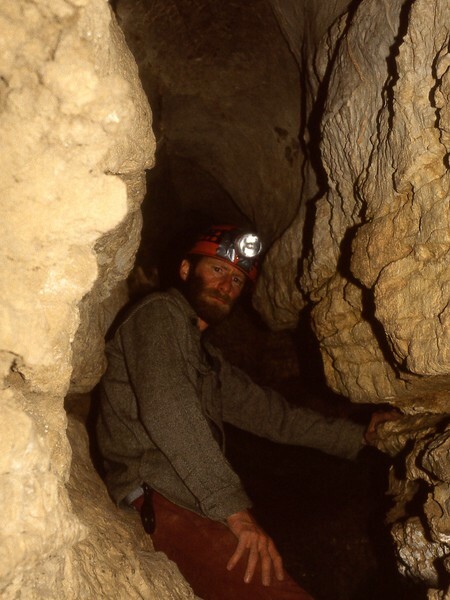 The caverns are named after Jack Mitchell, who owned and operated two of them from 1934 to 1954 as a tourist attraction for travelers on nearby Route 66. 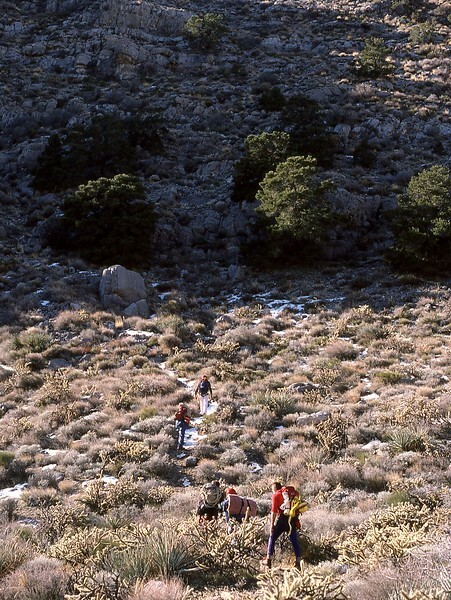 The area became a state recreation area in 1956 and a part of the Mojave National Preserve in 1994, but the caves are still owned and operated by the State of California. 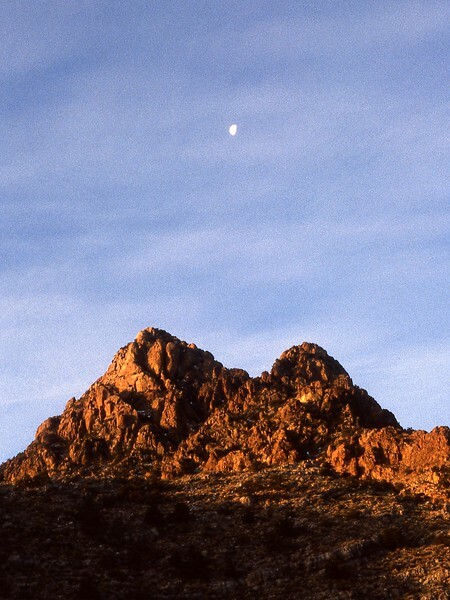 I became aware of them in 1987 during a climb of nearby Mitchell Point, a peak on the Desert Peaks Section list. 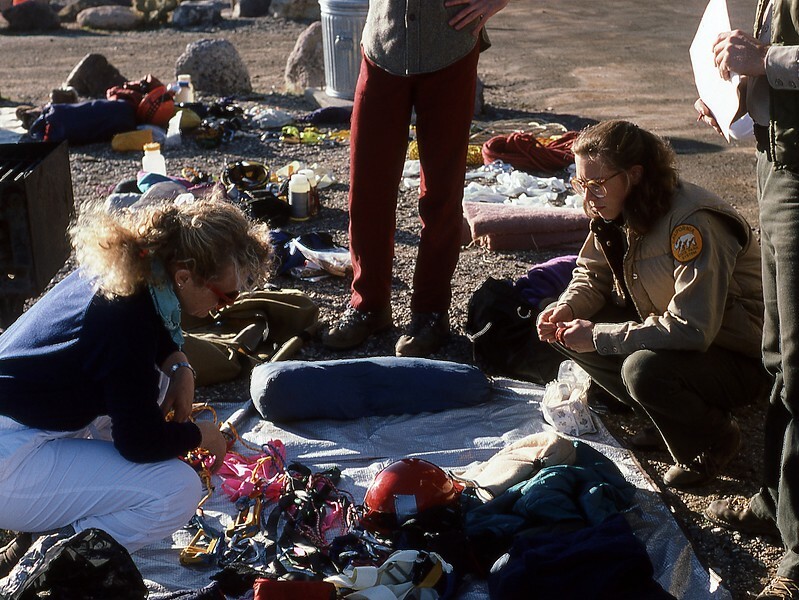 At that time, Winding Stair was open to those equipped and experienced enough to convince the rangers to issue a permit. 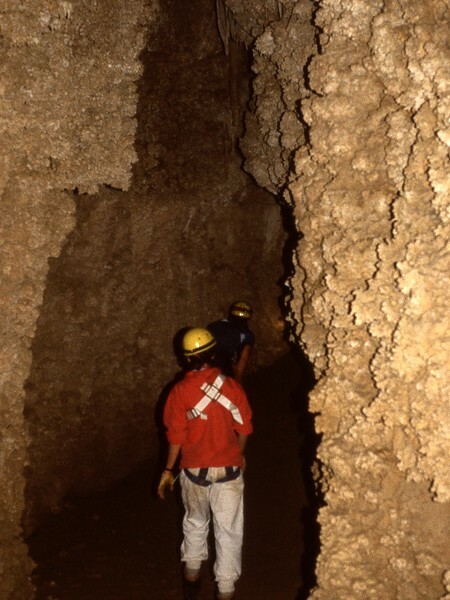 Our team of six applied for a permit and was granted one – following an onsite equipment inspection – in January 1988. 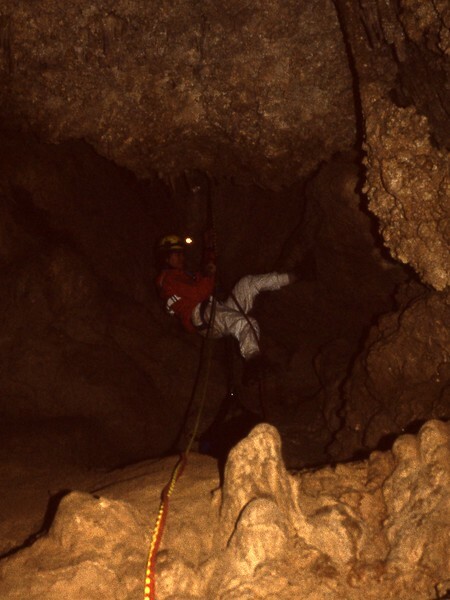 We got going right after the equipment check, climbing up to the mouth of the cave and opening the gate there with the key given us by the rangers. 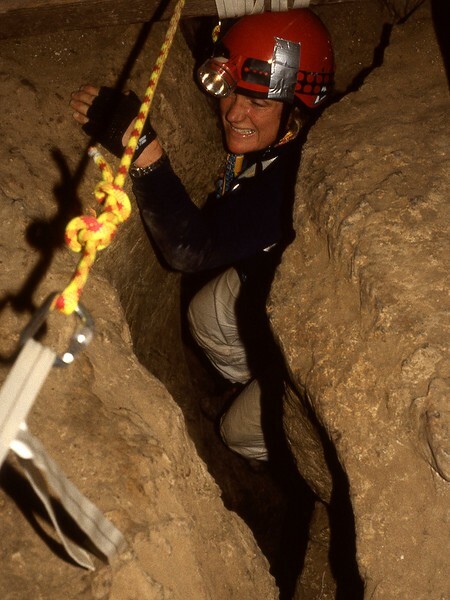 Then we wormed our way horizontally to The Office and set-up an anchor for a rappel through a very narrow vertical crack (which seemed narrower on the way out) down some 75 feet to standing room in the Broken Rock Room. 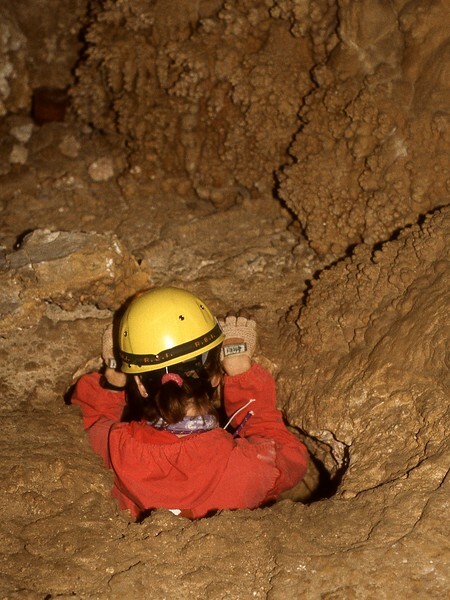 From there, we walked and crawled and squeezed a dusty and grimy route down through the Dog Leg Room and the Gopher Hole to the top of the bell-shaped Circular Room, some 200 feet below the entrance. 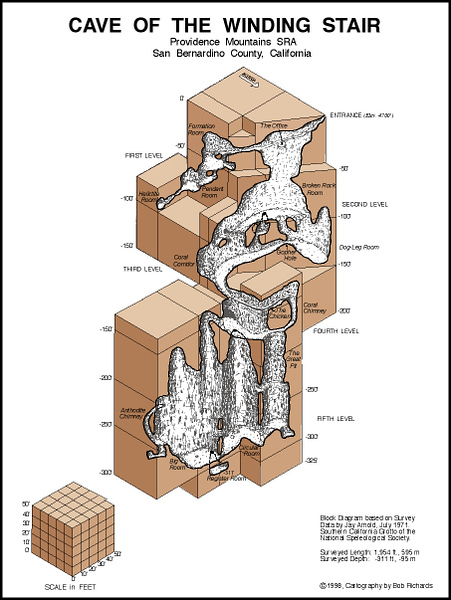 The descent to that room’s floor involved more anchors and an approximately 150-foot rappel, which was free most of the way because the walls got farther away the farther we descended. Once on the bottom, there was some more dusty crawling and squeezing to the mouth of Register Room, where another squeeze and drop took us down to the “inverse summit” register, 311 feet below the entrance. In those days, the water table was such that this lowest room would periodically flood, making the register inaccessible to all but the truly committed (or the insane). We registered under dry conditions, had a snack, and started back. Jumaring out of the Circular Room and then up to The Office – through that fiendishly narrow crack – was exhausting. We got back to the surface 12 hours after we’d started sore and bruised and feeling like we’d run a gauntlet of padded baseball bats. Winding Stair has some flow stone but otherwise lacks the “oooh” and “aaah” features you find in tourist caves. 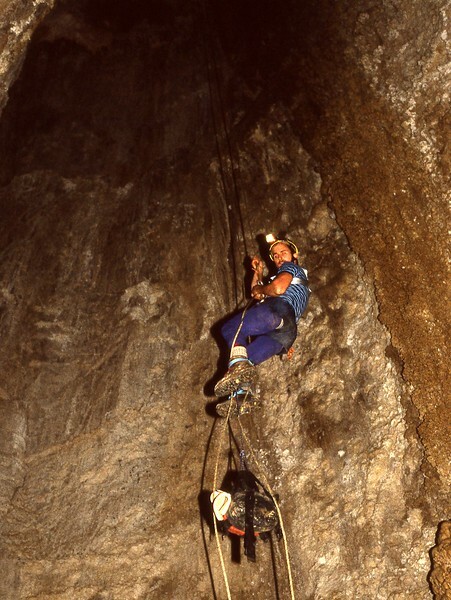 It’s a caver’s cave – lots of dust, rock, hard work, and technical challenges, leading to a profound feeling of accomplishment. 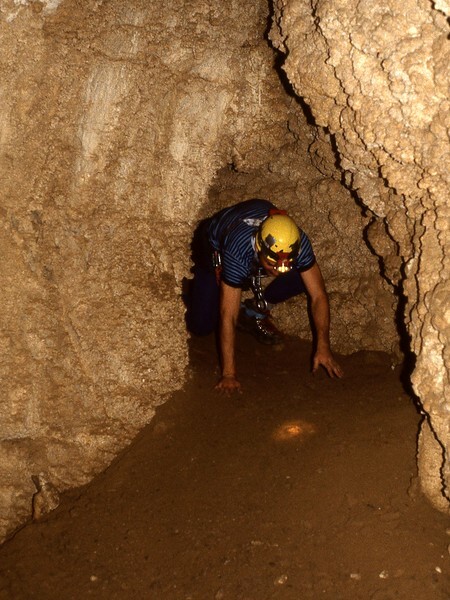 I’ve been in other caves since – even “off-trail” in a few – but Winding Stair proved to be my one and only true spelunking adventure. Wouldn’t have missed it for the world!